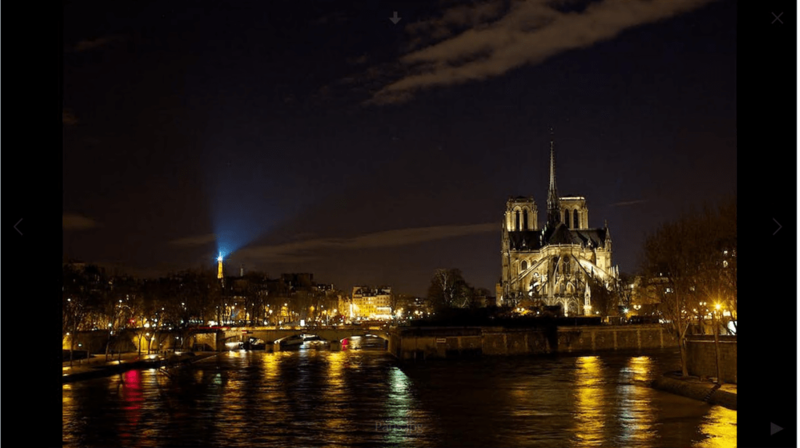 In the first post, we started with a fresh install of Ubuntu server and finished with logging into the ownCloud web portal for the first time. In this post, we’ll be picking up right where we left off, focusing on a complete walkthrough in your cloud to help you understand the web management interface of ownCloud. 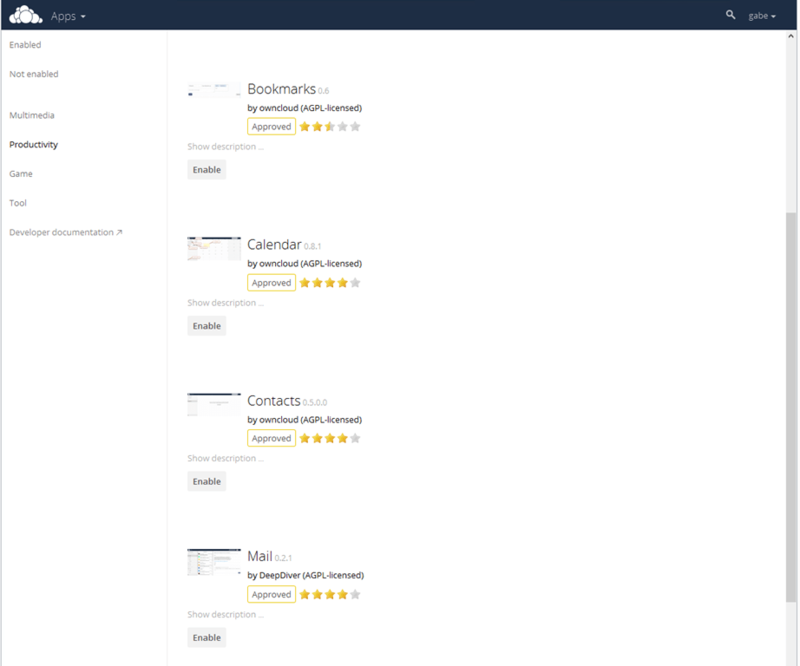 We’ll start with the Personal, Users, Admin, and Help sections. Then talk about the apps. Let’s Go! At the top right of the web page, you should see the login name you chose. Click on it, and then select “Personal”. On this page there will be several sub-sections. You’ll see direct links to the desktop and mobile sync clients.There are sync clients for Windows, Mac, and Linux desktops along with Android and iOS apps. These clients are used for file synchronization, with function just like the Dropbox or Box, et al file sync clients, except with more features. You also have a gauge showing you how much space is available for you to use. Pretty simple, to change your password. Set your full name here, this does NOT change your login name. Just makes it more personal. This is the name that is displayed in the top-right corner of the page. 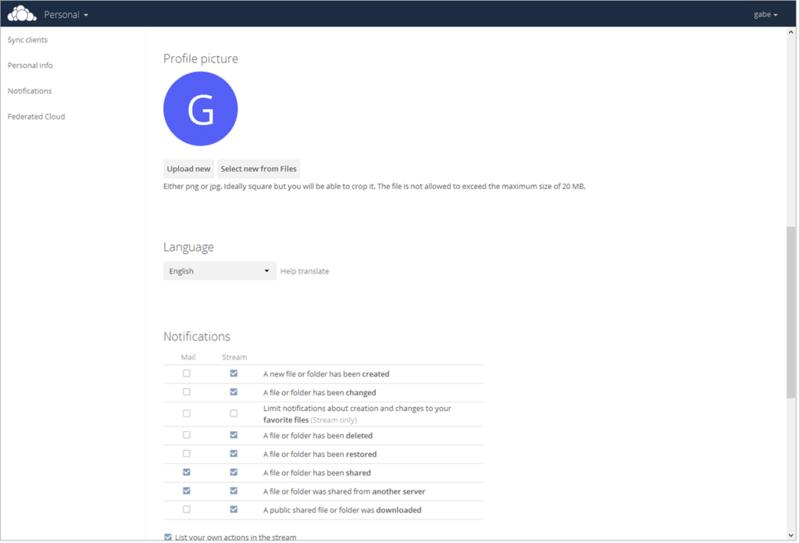 Configure an email address for your user. This should be an email address where you can receive email. IMPORTANT – We have not configured our server to send emails yet, we will do this later. By default your first user is an admin, in the admin group. More on Groups in a bit. Profile picture: You can select an avatar if you want. Since this is a new server, you’ll need to “upload new”. We’ll upload a profile picture in a later post! ownCloud has the ability to utilize many other languages. You can configure this for your user here. This is a per-user setting. You can change this globally in the config.php file. 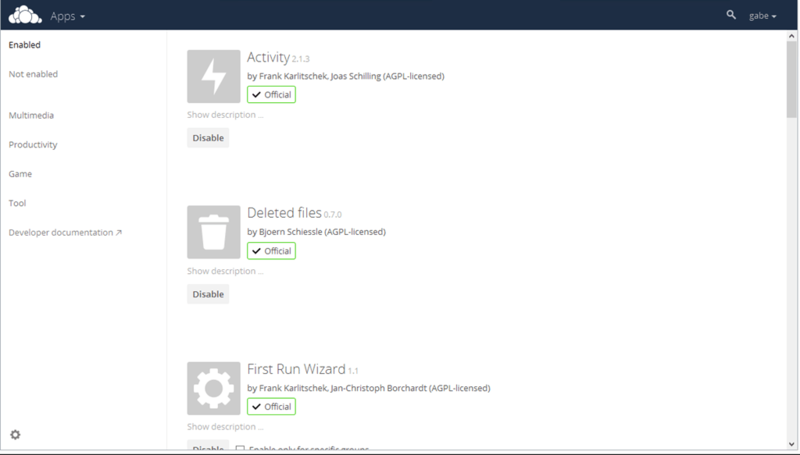 ownCloud has two ways to manage change notifications, Mail and Stream. Here we can create and remove users and groups. One major point is you can limit storage space per-user, in any quantity you would like. It is especially helpful in scenarios where space is limited. Perhaps the biggest use I have had from creating users is creating accounts for specific purposes. For example, I have found at times there are issues with sharing calendars. To share an account with multiple people, I simply create a user named “Calendar” and we use that account to centralize a few calendars. Next, we’ll click again at the top-right and select “Admin”. The Admin page is broken into several sections. First – if there are any Security or Setup Warnings, they will appear at the very top. These are generally items that come up in fresh installations or after major upgrades. For example, we can improve performance by making some system level changes to transaction file locking and mem cache and we have direct links to ownCloud documentation to improve it. 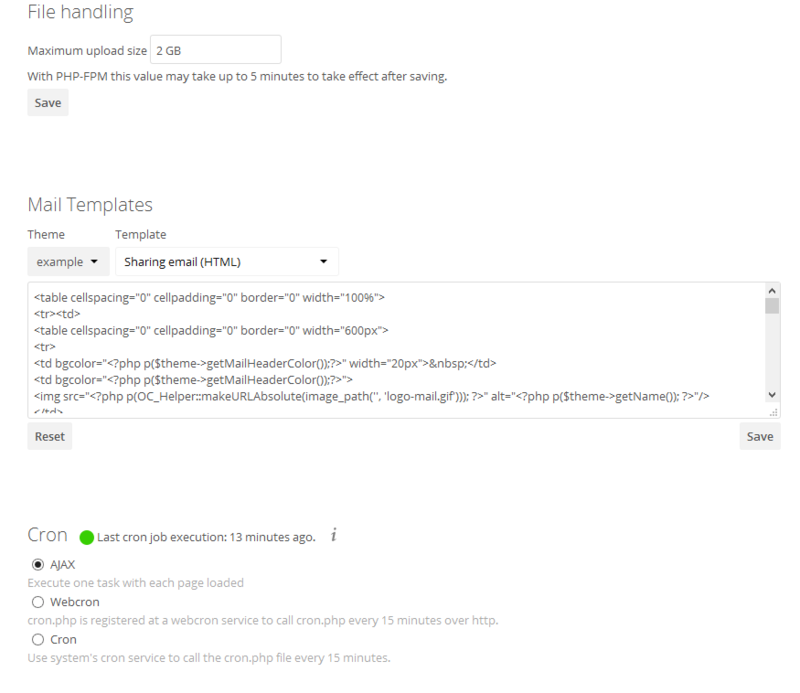 You can create custom templates based on several actions. Activity notifications, Sharing Emails, and a Lost Password email for example. All can be customized for your usage. Here you decide how to handle background jobs. Simply clicking the “i” you have a direct link to official ownCloud documentation on configuring these. Very helpful. Important to notice, if you prepare to turn this feature on, be prepared to not be able to go back. Again, more detail on encryption can be found by clicking the “i” link. 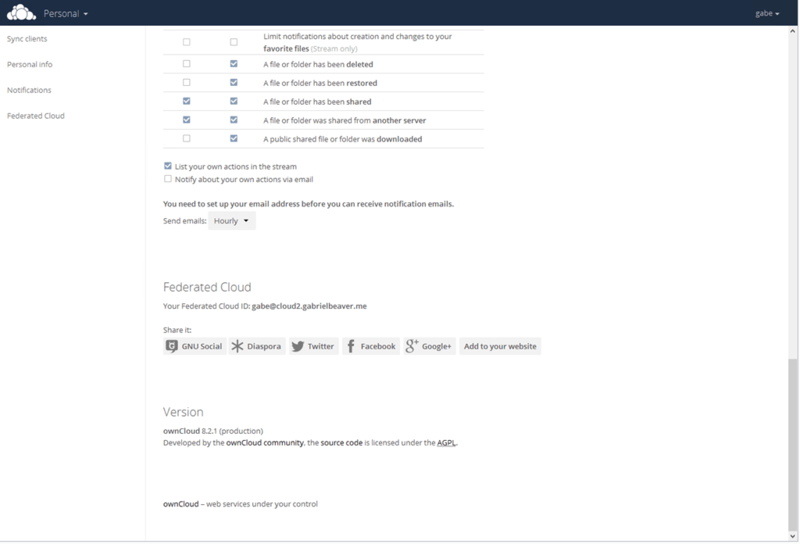 Here is where you can configure the FROM address and mail settings from your ownCloud server. Your ownCloud server will detect your servers capabilities. You can use php mail, SMTP, and others such as sendmail. Here you can view the log events generated, you can sort them in several ways, from Fatal Only, to Everything. These are especially helpful in troubleshooting errors with application plugins, upgrades, or random issues. Almost everytime I’ve had an issue, I’ve been able to utilize the log to help track it down. Here you’ll find links to to helpful items to help you get started with ownCloud. 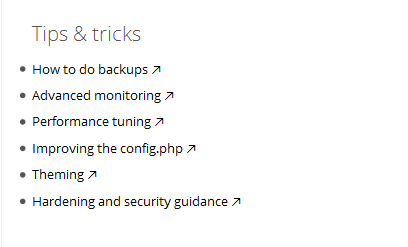 Backups, Monitoring, Performance Improvement, Theming, Securing your instance, and more. Keep an eye on this section when you upgrade for help improving, customizing, and securing your instance. ownCloud has vastly improved the upgrade process over the years. 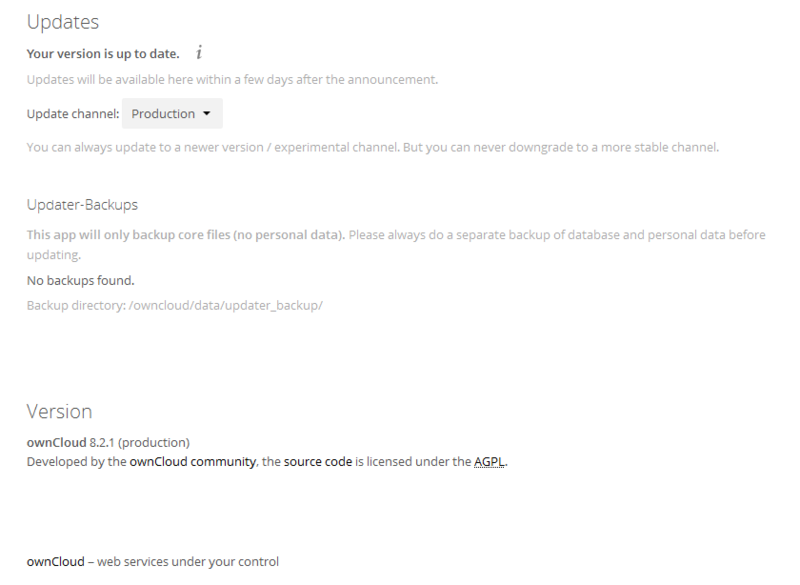 Now it is easier than ever to upgrade your instance directly from the admin page. You can opt for one of four selections, the default being Production. With Stable, Beta, and Daily builds the remaining options for you. At the very bottom we have the indicator of the update channel, and exact version in use. Next we will quickly go over the Help section. 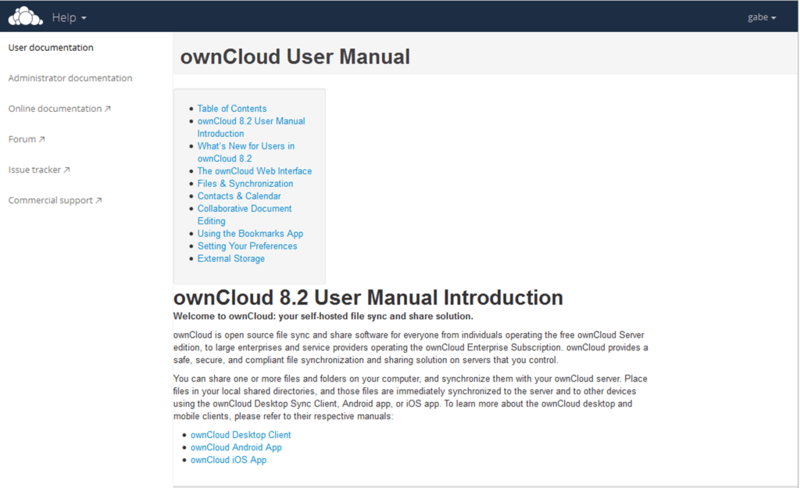 If you click in the top-right once more, and select Help, you will see that you have direct access to the ownCloud user manual right from your ownCloud. 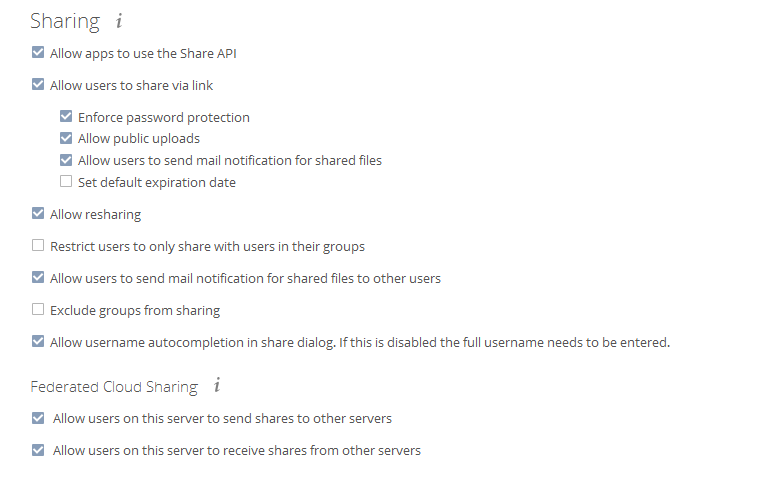 This information is all local to your server, so if you are unable to access the internet directly from your server, or if the owncloud documentation is unavailable, or any other scenario, you’ll always have the admin guide available to you. Now let’s review some of the default apps. Here you can select Files, Activity, Gallery, and Apps. Here you can see where files and folders were, uploaded, renamed, shared, and much more. Most important, if you cannot sync or share a file, you will usually find a reason for that here. Our instance is new, so nothing here yet! The Gallery is simply used to view images. 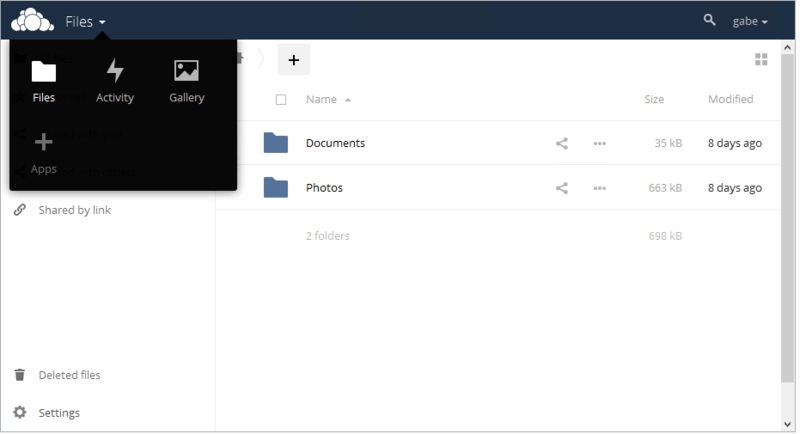 Having used ownCloud for years, I can say this app has been much improved. The fullscreen viewer you can quickly download the photo, spin up a slideshow, or browse through photos. The Gallery is able to smart sort your photos so even if they are not in a single folder, the Gallery will recognize the file types and make them viewable with Gallery. In my view, the Apps are where ownCloud really has the greatest potential to shine with limitless customization. By default you have several apps and features enabled, but you can enable/disable these as you’d like at any time. If you want to enable the LDAP app for example, ownCloud will prevent you from failure if you don’t have the prerequisites. Want to stream Music from your ownCloud to your computer or view your news RSS feeds from anywhere via your ownCloud? Simply enable the Multimedia apps Music and News. Want to centralize your Bookmarks, configure remotely syncable Calendars and Contacts? Do you want to view your Gmail or other email or have a backup when access could be blocked to the mail server outright, direct from your ownCloud? Simply enable and configure the Apps! One small piece about Apps is to look at the settings option at the bottom-left. 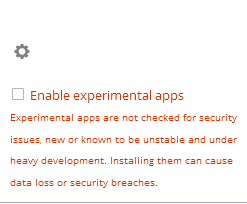 Here you can say whether you want to “Enable epiramental apps”. Finally – if you are a user of desktop linux you may be familiar with the app sites like KDE-apps.org and gnomefiles.org. 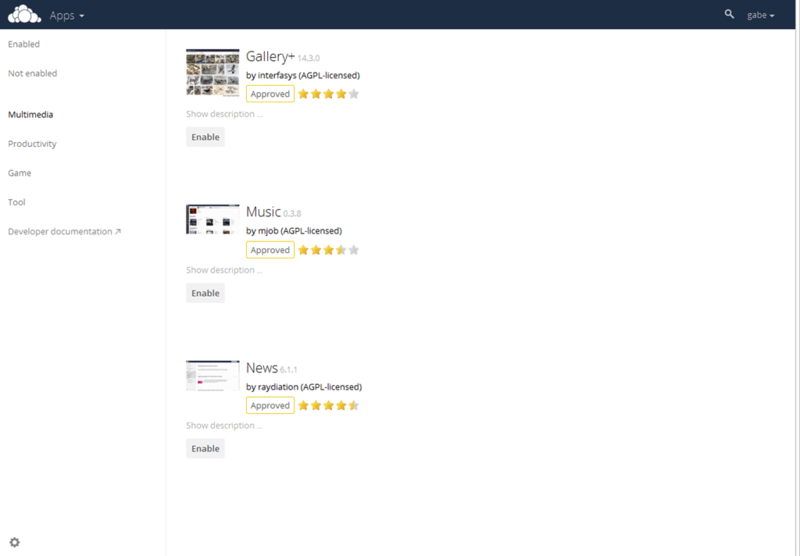 ownCloud has an “appstore” with a nearly mirror look and feel. 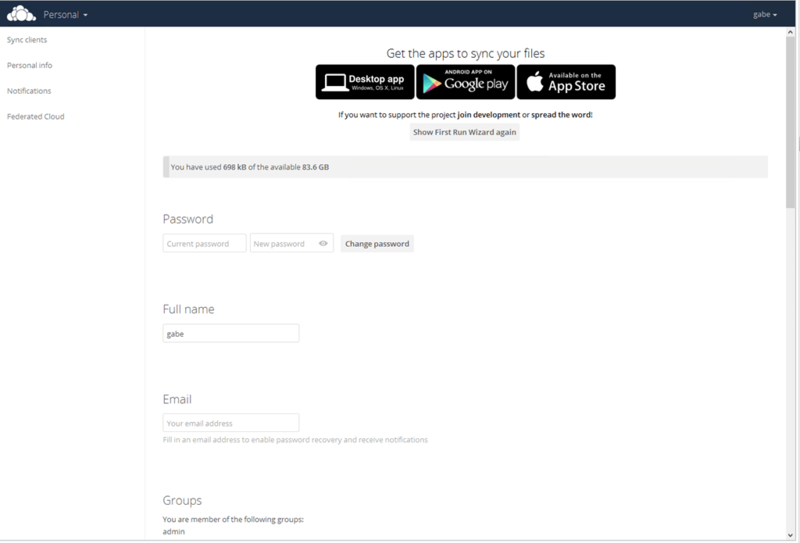 Here developers can share their development creations that you can import into your ownCloud. Most all of the apps give you minimum system requirements, and how to install the app. You can also find the ownCloud project on github. You can also connect with the ownCloud community on freenode IRC #owncloud. Just make sure you’ve taken a look on the forums and in the documentation for your questions, before asking the community. 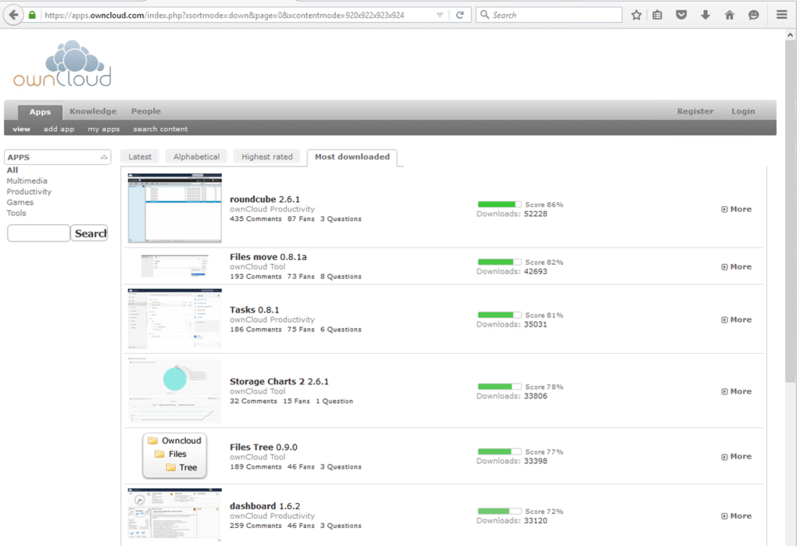 This completes the walkthrough of the ownCloud user interface. In the next post we’ll get back to configuring our ownCloud and hopefully begin to work with some real data. If you’ve enjoyed this post or can think of any way to improve it, please let me know in the comments! Thanks for reading.